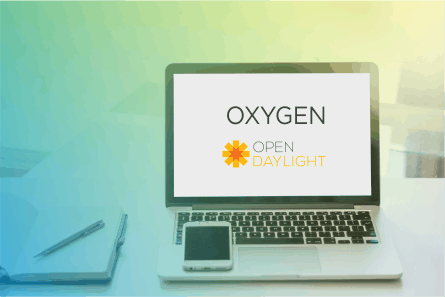 OpenDaylight’s YANG Tools project, forms the bottom-most layer of OpenDaylight as an application platform. It defines and implements interfaces for modeling, storing and transforming data modeled in RFC7950, known as YANG 1.1 — such as a YANG parser and compiler. Pantheon engineers started developing yangtools some 5 years ago. It originally supported RFC6020, going through a number of different versions. After releasing yangtools-1.0.0, we introduced semantic versioning as an API contract. Since then, we have retrofitted original RFC6020 meta-model to support RFC7950. We also implemented the corresponding parser bits, which were finalized in yangtools-1.2.0 and shipped with the Nitrogen Simultaneous Release. This release entered its development phase on August 14th 2017. yangtools-2.0.0 was released on November 27th 2017, which is when the search of an integration window started. Even though we had the most critical downstream integration patches prepared, most of down-streams did not have their patches even started. Integration work and coordination was quickly escalated to the TSC. The integration finally kicked off on January 11, 2018. Integration was mostly complicated by the fact that odlparent-3.0.x was riding with us, along with the usual Karaf/Jetty/Jersey/Jackson integration mess. It is now sorted out, with yangtools-2.0.1 being the release to be shipped in the Oxygen simultaneous Release. What is new in yangtools-2.0.1? The most user-visible change is that in-memory data tree now enforces mandatory leaf node presence for operational store by default. This can be tweaked via the DataTreeConfiguration interface on a per-instance basis, if need be, but we recommend against switching it off. For downstream users using karaf packaging, we have split our features into stable and experimental ones. Stable features are available from features-yangtools and contain the usual set of functionality, which will only expand in its capabilities. Experimental features are available from features-yangtools-experimental and carry functionality which is not stabilized yet and may get removed — this currently includes ObjectCache, which is slated for removal, as Guava’s Interners are better suited for the job. Users of yang-maven-plugin will find that YANG files packaged in jars now have their names normalized to RFC7950 guidelines. This includes using the actual module or submodule name as well as capturing the revision in the filename. From API change perspective, there are two changes which stand out. We have pruned all deprecated methods and all YANG 1.1 API hacks marked with ‘FIXME: 2.0.0’ have been cleared up. This results in better ergonomics for both API users and implementors. yang-model-api has seen some incompatible changes, ranging from renaming of AugmentationNode, TypedSchemaNode and ChoiceCaseNode to some targetted use of Optional instead of nullable returns. Most significant change here is the introduction of EffectiveStatement specializations — I will cover these in detail in a follow-up post, but these have enabled us to do the next significant item. There is an yang-parser-spi artifact, too, which hosts common namespaces and utility classes, but its layout is far from stabilized. Overall the parser has become a lot more efficient, better at detecting and reporting model issues. Implementing new semantic extensions has become really a breeze. YANG codecs have seen a major shift, with the old XML parser in yang-data-impl removed in favor of yang-data-codec-xml. yang-data-codec-gson gains the ability to parse and emit RFC7951 documents. This allows RFC8040 NETCONF module to come closer to full compliance. Since the SchemaContext is much more usable now, with Modules being indexed by their NameModule, the codec operations have become significantly faster. Overall, we are in a much better and cleaner shape. We are currently not looking at a 3.0.0 release anytime soon and can actually deliver incremental improvements to YANG Tools in a much more rapid cadence than previously possible with the entire OpenDaylight simultaneous release cycle being in the way. We already have another round of changes ready for yangtools-2.0.2 and are looking forward to publishing them.